I am pleased with this Vedanta-inspired id for “gods” and with how I can clearly make a noun out of “this” to fit the Vedantic conceptual approach. I am pleased with my new id for “quantum” using “only”. Perhaps someone else will appreciate the aptness of it. “Cognitive science” devotees who put stock in Mark Johnson’s contention that image schemas are functionally important for categorization should appreciate this. oops, I see I left out the word “tool” in the first alphabetic sentence–“a new mental tool”. “self-happening” is a conceptual improvement over “self-thing”, I think. 3 posts already today. I am on a roll, an ideomaniac. 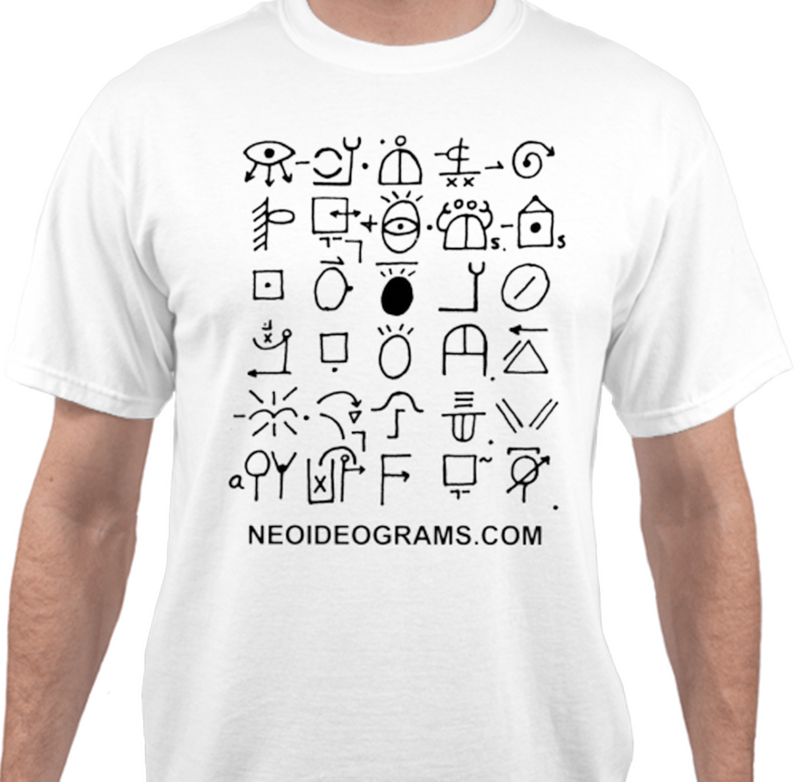 With these ideograms I create new worlds of meaning and freedom–that bring transcendant, unusual actions and thoughts. They offer one expanded mental life and more awareness of both the internal and external observable universes. I could provide many and probably better examples of linguistic transcendance, but hopefully this will suffice to get the idea across. I am gleefully off in my own world here.